With over 280 dance studios in 23 countries, Arthur Murray Dance Studio is the world’s leading dance instruction organization which continues to teach the world to dance since 1912! Experience the same high-quality that you would expect from this brand at its Schaumburg franchise in Illinois. Arthur Murray is America’s second oldest franchise organization with franchises located throughout the United States, Canada, Puerto Rico, Europe, the Middle – East, Japan, Africa and Australia. The beginning of a new millennium has once again seen social dancing emerge as a significant part of popular culture for all generations. Arthur Murray dance teachers can be found not only in the studios, but on the movies sets in Hollywood, backstage on Broadway and in partnerships with major entertainers to promote the music that the world dances to. We strive to ensure a First-Class experience in learning to Dance. We start by employing people passionate about Teaching, Dancing, Growth and change that happens thru learning to dance. As part of the personal growth and self-improvement industry we know that challenging and supporting our customers thru the learning process will not only add a life skill and a way to connect with people, it can be a complete social makeover and a life-changing experience! Our company continues daily to improve the quality of our Personal and group lessons as well as the practice sessions we provide for our clients. Combining our 3-Way system of teaching supplemented by showcase and Dance-A-Rama training, we constantly create shorter and longer range projects to keep our students engaged, focused and challenged to bring the most from their desire, talent and dreams!! Your studio management team combined with all our teachers and employees will be working full time to keep your learning, growth and goals at the forefront of our mission as we have learned that team teaching will bring the most out of all students who become a part of the “Arthur Murray Experience”!! We welcome you to being part of the Arthur Murray family and hope your journey will be as joyous and successful as it has been for our thousands of satisfied customers! We offer classes in every style of dancing under rhythm and Latin dance, smooth and standard dance, country western dance and a variety of special dances. 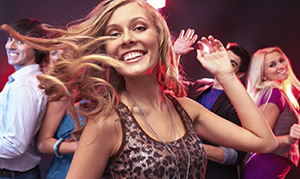 Take advantage of the new student offer of a private lesson and consultation for $40 and learn to dance today! Gift someone with one of our great gift certificate offers to get them started on their lifelong journey with the beautiful art of dancing. Take a look at the calendar of events for our Arthur Murray Schaumburg location to know what’s coming up. Ensure that you and your spouse to-be have the first dance of your dreams by signing up for our wedding dancing classes. Keep yourself up-to-date with all the activities of Arthur Murray Dance Studio in Schaumburg by following our blog.